This article was written by Modojo community member Jeff Masser. 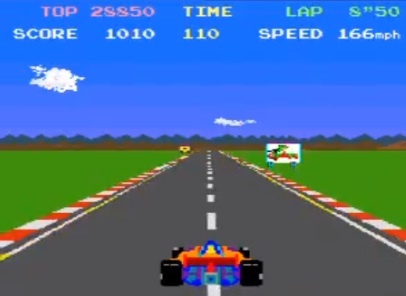 Some fans think the kart-racing revolution officially began in 1992 with Nintendo's Super Mario Kart, but others say it started with Atari's 1982 classic, Pole Position, or even Crashing Race, a 1976 game by Taito. 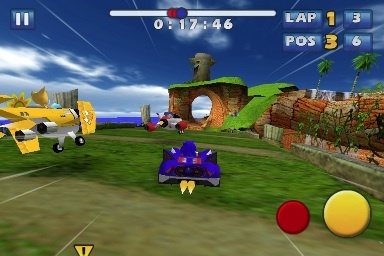 Crashing Race, by all accounts, was a game that introduced players to car combat. It was a two player competitive racing game that required you to crash as many of the racecars as possible, where the person with the most takedowns emerged victorious. Although Pole Position may have been the first popular Formula 1 racing game, it still helped lay the foundation for racers as we know them today. It's also a well-known fact within Formula 1 circles that most professional F-1 racers get their start with go-karts. Even though other games perfected both car-combat and racing, one title combined the two, and in the process, became one of the most popular series in gaming history. That title, Super Mario Kart for SNES, featured both tight controls and revolutionary Mode 7 graphics. 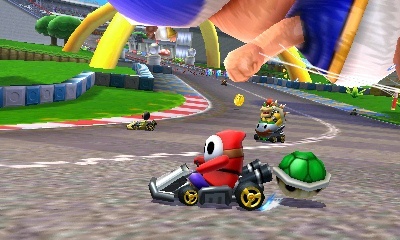 Mario Kart would go on to spawn several sequels, both in the console and portable realm. 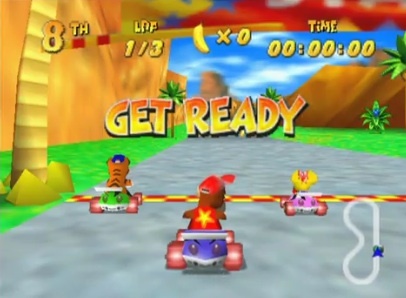 It would also push other developers to produce their own kart racing games, some of notable quality. With that, here's a quick rundown of the best kart racing games and series. Mario Kart has been made for every Nintendo System since the Super Nintendo, including the Game Boy Advance (Mario Kart: Super Circuit), Nintendo 64 (Mario Kart 64), Nintendo GameCube (Mario Kart: Double Dash), Nintendo DS (Mario Kart DS), Nintendo Wii (Mario Kart Wii) and finally with the Nintendo 3DS (Mario Kart 7). There were also two arcade Mario Kart games: Mario Kart: Arcade GP and Mario Kart: Arcade GP 2, which featured a few crossover characters in the form of Pac-Man, Ms. Pac-Man and Blinky. Although Nintendo continues to tweak the formula, the tried and true setup of puttering around tracks nailing enemies with weapons remains front and center, making this party series a guilty pleasure. Diddy Kong Racing was released in 1997 and made it into the Guinness Book of World Records for being the fastest selling video game, as 800,000 copies were ordered in the two weeks before Christmas. DKR went on to spawn a Nintendo DS version, which has Wi-Fi support and let you create your own tracks using the touch screen. DKR: DS also benefited from having additional characters, one of which was Conker. 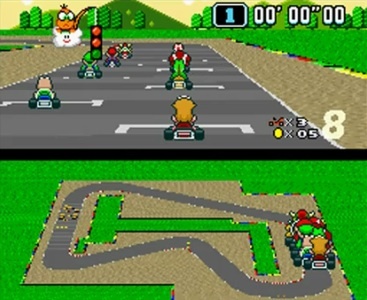 Sega's answer to Mario Kart (circa 2010) featured numerous characters from the publisher's most popular franchises, including Sonic the Hedgehog, Virtua Fighter and Shenmue. The game was well received, and there's a sequel in development. 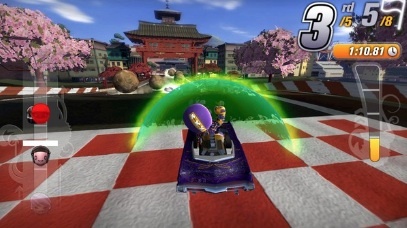 Similar to Mario Kart: Arcade GP, an arcade version of Sonic & Sega was released in 2011. It was also ported to iPhone and iPad. Sony made a splash with ModNation: Racers, a series that has appeared on PlayStation 3, PSP and more recently the Vita in the form of ModNation Racers: Road Trip. While it's debatable whether the series is better than Mario Kart, it deserves credit for being the kart racer that encourages users to create and then share their own tracks, karts and characters. Chocobo Racing: a Final Fantasy themed kart racer released in 1999 for the original PlayStation. Club Kart: European Session: A Sega-produced kart racer released in 2000 for the Sega Naomi 2 System. Crash Team Racing: Crash Bandicoot themed racer released in 1999 for the PlayStation. Jak X: Combat Racing: A Naughty Dog developed combat racer and spin-off of the Jak & Daxter series, released in 2005 for the PlayStation 2. Konami Crazy Racers: A 2001 Konami launch title for the Game Boy Advance starring such characters as Dracula from Castlevania and the Cyborg Ninja from Metal Gear Solid. It was so good, we proudly added it to our list of the 30 Greatest Launch Titles In Handheld Gaming History. So there you have it, a brief history of the kart racer. We hope you enjoyed reading it as much as we enjoyed writing it. Let us know if we missed anything in the comments section.